On Sept. 19, 2018 from 11 a.m. – 12:30 p.m. EST Dr. Maggie Beneke will conduct a webinar as a part of the Military Families Learning Network Virtual Conference. During this session she will elaborate on the concepts discussed below. 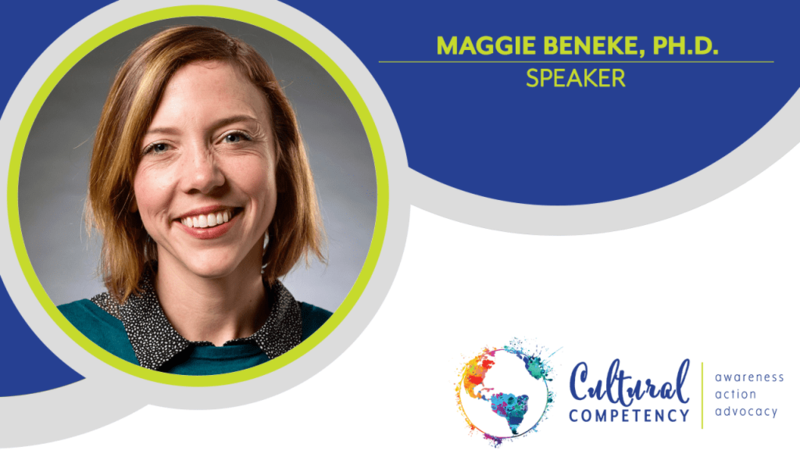 Additionally, participants in the webinar will walk through the anti-bias framework Dr. Beneke describes in this blog. To learn more and to register for the virtual conference, click here. by Maggie Beneke, Ph. D.
In the United States, children continue to face issues of inequity at the intersections of dis/ability and race. For instance, children and youth of Color continue to be over-identified in the categories of emotional behavioral disorder, intellectual dis/ability, and learning dis/ability (Artiles, Kozleski, Trent, Osher, & Ortiz, 2010; Skiba et al., 2008; Zhang, Katsiyannis, Ju, & Roberts, 2014). African American children and youth are more likely than peers with the same dis/ability label to be placed in more restrictive settings (Banks, 2017; Ford & Russo, 2016), leading to lower graduation rates (Reid & Knight, 2006). Moreover, children and youth of Color with dis/abilities are more vulnerable than their White peers to experience school push-out and criminalization through the Preschool to Prison Pipeline (Annamma, 2018), and are disproportionately placed in juvenile incarceration settings (Houchins & Shippen, 2012; Losen, Hodson, Ee, & Martinez, 2015). Taken together, this data reveals how children and youth living at the intersections of dis/ability and race are regularly excluded by educational systems. Importantly, issues of inequity for children and youth of Color may be exacerbated by interactions between their families and professionals. In school contexts, families often have unequal access to institutional power and curricular knowledge (Cheatham & Jimenez-Silva, 2012; Cheatham & Santos, 2011; Hollins, 2011), which may contribute to challenging interactions and miscommunication. Based on these and other factors, practitioners may develop implicit deficit-based views of families of Color (Halgunseth et al., 2009; Hanson & Lynch, 2010; Harry, 2008; Lovelace, Robertson, & Tamayo, 2018), marginalizing families’ roles in educational decision-making. Families’ exclusion from institutional decision making has a long history and can trigger mistrust for families of color (e.g., Harry et al., 2005; Kalyanpur & Harry, 2012). When practitioners and families of Color do not establish strong partnerships, children of Color may have fewer opportunities for success in educational programs (Janus & Duku, 2007). So, what can practitioners do to advance equity? To advance equity for children and families at the intersections of dis/ability and race, practitioners can identify and resist deficit-based ideologies in their day to day interactions (Annamma & Morrison, 2018; Derman-Sparks & Edwards, 2010; Gorski, 2011). An anti-bias framework can scaffold practitioners in addressing individual and institutional bias with children and adults (Kuh, LeeKeenan, Given, & Beneke, 2016). This framework involves: (a) listening to children and families; (b) acknowledging one’s own feelings and biases; (c) gathering information; (d) responding to children and families; and (e) sharing one’s own anti-bias learning. Through this ongoing process of reflection and action (Freire, 1970), practitioners have the opportunity to cultivate equity-driven relationships with families and improve outcomes for children and youth of Color with dis/abilities. To access a reference list, please click here. Following Annamma (2018), I use the slash in dis/ability to highlight ways in which this label is connected to socially constructed values through everyday processes (including language) and which re-inscribe “ability” as a normative, desired standard. This post was edited by Robyn DiPietro-Wells of the MFLN FD Early Intervention team, which aims to support the development of professionals working with military families. Find out more about the Military Families Learning Network FD concentration on our website, on Facebook, on Twitter, and on YouTube.